For the director of Cowboys & Aliens, the summer sci-fi flick speaks to serious stuff. 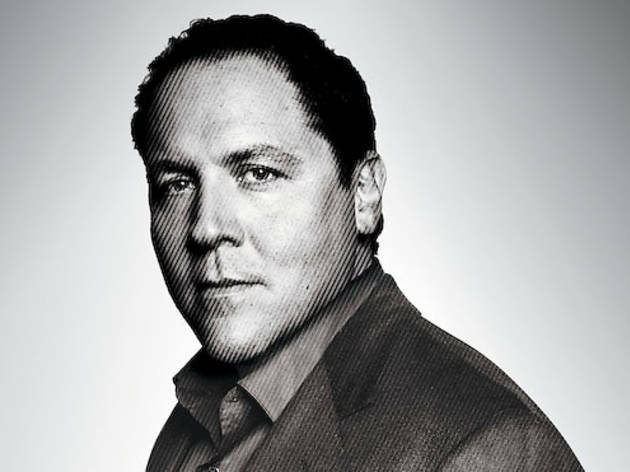 Two days after completing Cowboys & Aliens’ first print, two years after starting the project, and just a few weeks before its national release, Jon Favreau sounds positively tranquil. 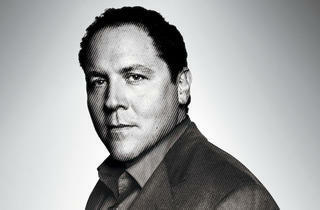 Where some in his position might seem distracted, eager to get off the phone, Favreau, 44, gives off the sense that he could talk about his new film for as long as you’ll listen. The native New Yorker, who lived in Chicago from 1988 to 1992, became a moderately successful actor before making his name as a director of immoderately successful Hollywood fare like Elf and Iron Man. In one of the interviews you did with people involved with Cowboys & Aliens—Harrison Ford, producers Steven Spielberg and Ron Howard—you said, “Inevitably the scene you love the most is the one that’s gonna ruin the movie.” How’d that play out here? Some of my favorite stuff in this film isn’t in it because you have to service the whole. A lot of that comes from my training in Chicago, from improv. It’s not the idea you come in with, it’s the idea that emerges through the collaboration. You told Harrison Ford, “You busted my balls a lot, I loved it, I busted your balls, Daniel [Craig] busted our balls.” A lotta ball busting. It’s a flavor of somebody’s sense of humor, it’s ingratiating yourself to somebody else by giving them a hard time. I’m from the East Coast so I grew up with it. I grew up in Queens, but I remember when I first came to Chicago, the style of humor is different. Well, “ball busting” describes a certain Chicago style of humor. Oh, yeah—depends what neighborhood you’re from. It depends what ballpark you’re in. But it’s a different style of ball busting, too. The edge is in a different place. And how did Olivia Wilde fit in among all these testicular encounters? She’s one of the guys, for sure. She is very competitive, and she never wants exceptions made for her. She was one of the best riders among the cast. Everybody, especially Harrison, really respected her heart and how hard she worked. We’ve mentioned some of the names attached to this project. That must’ve developed your skills as a negotiator. Surprisingly much less than any other project I’ve worked on because everybody has their own outlet creatively, especially as far as the behind-the-camera people. [Spielberg] knows he’s Steven Spielberg, and he knows how to make you comfortable with him being Steven Spielberg. He’s the one who creates the mood, and the mood is: We both love movies, let’s have some fun here. You’ve talked about wanting to make this film in the traditional Western mold. Here the enemies are aliens instead of Native Americans. Was that part of your thinking? Of course it is because it would be irresponsible to present the Western in the way that it once was. We just know too much about other cultures. They no longer represent something dark and foreign. If not as villains, how do Native Americans figure in this story, or do they? Yeah, look, we tried to create as real of a world as we can. The Apaches were a refugee culture that was being relocated to the Southeast from the Southwest, and the Apaches that were still in the Southwest were on the run, so it was a volatile moment. We didn’t want to do revisionist history. But when the aliens come, everything has to be renegotiated to confront this overwhelming enemy. Sounds like you did your homework, considering it’s a sci-fi film. Yeah, that again comes from my background in improv as well. Del Close always taught: Work from the top of your intelligence, even if you’re doing slapstick. If you look at all of the people who came out of Second City but especially under Del’s tutelage—John Belushi, the samurai sketches that he did. “Samurai Night Fever” is about as silly as you get, but he was channeling Toshiro Mifune in Kurosawa films. If he was camping it up, it would not have been as funny. And when you approach Cowboys & Aliens, to play it like it’s the Apple Dumpling Gang it would have been a hat on a hat, it would have been a joke on a joke. Del always taught, if you aspire for the truth, you’ll hit funny along the way. Last year you said, “I’m not a fan of seeing big movies,” yet you’re known as a director of them. Is there a distinction between the films you see and those you make? No. I want to see good movies. As a filmmaker, if you want to do something that’s dialogue driven and character driven, you should work on cable television. If you want to play in movies right now, it’s a very difficult time for smaller films because DVD revenue is evaporating. The trick is to find the movie that is on the surface marketable but yet that you can bring your inspired work to. Cowboys & Aliens opens July 29.